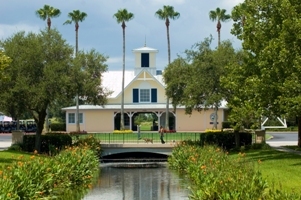 Celebration Florida is a planned community on the south end of the Walt Disney World Resort. It was developed by Disney's Celebration Corporation and designed by the famous architect, Robert AM Stern. • Downtown area with restaurants, shops and special events. • Abundant parks and recreation facilities including miles of walking and biking trails. • Caring residents with numerous civil and community organizations. • A location only minutes from the Walt Disney World Resort theme parks. • Special regional and resident only events. • Downtown architecture with buildings designed by top American architects. • Single family homes that include bungalows, duplexes, cottage, village and estate homes. 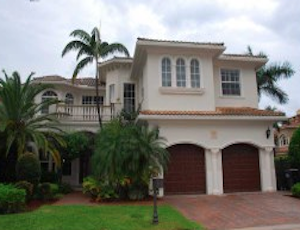 • Condos and townhomes of different sizes and locations. Celebration, Florida is located in Osceola County, only 30 minutes from downtown Orlando and 20 minutes from the Orlando International Airport. The town of Celebration is located at the intersections of I-4 and SR 417, offering easy access to the Tampa area and an hour's drive to the beaches at Cocoa Beach and Cape Canaveral. 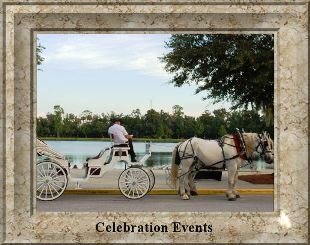 Located on the south end of the Walt Disney World Resort, Celebration was originally on Disney property and was developed by the Celebrations Company, a subsidiary of the Disney Company. Celebration is Michael Eisner's interpretation of Walt Disney's dream of a place where people can work, play and live together. The first homes were built in late 1996 with the first residents moving into the 350 homes in the main village in 1996 and 1997. These homes were purchased through a "lottery" with over 5000 people interested in the first homes. Twenty years later, Celebration is a small town of approximately 9,000 residents. The small town atmosphere is present in the design and architecture of the homes and community. Most homes have front porches and alleys and detached garages. The goal of the Disney design was to use the best features of small towns throughout the nation. 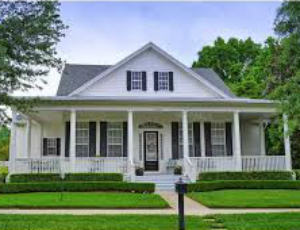 Architecture styles include Classical, Coastal, French, Victorian, Colonial Revival and Mediterranean. Many homes include garage apartments as in-law suites or rental units. As the town of Celebration grew and added new villages, each new development included the amenities that has kept this a unique community. Numerous local parks and recreation areas are located throughout that keep recreation choices near every home. Community swimming pools, community centers and additional walking and bike riding paths provide amenities for the residents. As residents of Celebration, Florida since the first homes were occupied, Kim's family has had an opportunity to experience this new community through its growth and maturation. Living in Orlando we had followed the philosophy and news of this community as Disney designed a place that would live up to Walt Disney's dream....a place where people can live, work and play in a place that valued the communities of yesterday combined with the today's technology. We were there for the original lottery in November 1995, where 5000 people were vying for the first 350 lots. You entered into a drawing to buy homes in 4 different categories and price ranges: townhouses, cottage homes, village homes and estate homes. Each home category offered different size lots, square footage and, of course, prices. We were pleased to be number 120 for the cottage homes and have made Celebration our home where our daughter has enjoyed incredible friendships and enjoyed the Celebration schools. Downtown restaurants and shops welcome our residents and guests. Imagine enjoying a restaurant where you recognize and know many of the patrons as fellow residents. In addition to downtown Celebration restaurants and shops, Water Tower Place offers additional options, including the local Publix grocery store. Numerous clubs and religious services have developed. Our first church building, the Community Presbyterian Church, opened in September 2000. Other religious organizations are located in Celebration and hold services in Celebration School or the Stetson University Learning Center. Neighbors work and play together in an environment that encourages and creates opportunities for networking and teamwork. Additional amenities include community halls in the Main, North and South Villages, the 4 1/2 Star Celebration Golf Course, a 60,000 square foot fitness center at Celebration Health, and Lakeside Park with basketball and tennis courts. Three community pools are available for Celebration residents and their families. We would welcome you as our neighbors and friends. View our current listings to see if your dream home is already available or contact us for introductions to area home builders. Utilize our buyers questionnaire to help us maximize your time by quickly identifying the best product for you. We specialize in knowing Celebration and the available homes and condominiums with prices ranging from $150,000 to over $1,000,000. We can help you find your dream home and introduce you to the Celebration family. 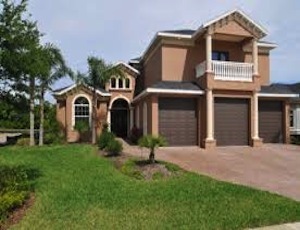 Need to sell your home in Orlando first? Contact us for comparisons from your neighborhood so that your home is listed at the right price. We will then work with you to develop a sales and marketing plan, including Internet and advertising strategies. We have information on living in the world's number one vacation destination. 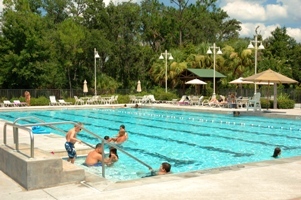 This unique part of Orlando is near the Walt Disney World Resort, SeaWorld and Universal Orlando and offers a lifestyle that combine a professional and community environment with the vacation amenities only found in Central Florida. 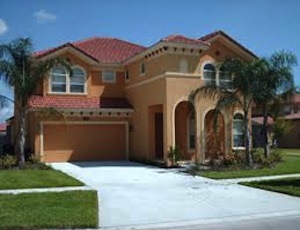 Whatever your need for real estate in Orlando and Central Florida, we are there for you!